I set myself a goal last month to generate a monthly Newsletter with events, classes and of course, News about the shop. Did that happen on the 1st May - nope. So better late than never and worth the wait - promise. We have decided to feature a yarn or group of yarns each month which will be on sale for the duration of the month. We will have free patterns, samples and lots of ideas for what you can make with you new purchase. This month we chose all Shibui yarns because so many of the patterns call for different Shibui yarns - held together. Now you have no excuse not to make a fabulous scarf or summer top or sweater in this gorgeous yarn. Just in time for our first Sweater Club meeting on this coming Thursday, we will have a Trunk Show featuring all the new designs for Kelbourne's latest yarn - Scout. This is a DK weight 100% Peruvian Wool in luscious colors and we have them all. One of our Sweater Club choices actual features Scout. We have an update for this great trip that we know you will appreciate. We have added departure and arrival spots to make your lives easier. In addition to utilizing The Anderson Regional Transportation Center in Woburn, we will also be picking up in Boston, and at Riverside. We want to make this as much fun as possible, so hopefully providing spots closer to you will make it easier for that early morning departure - 6.30 am by the way! We will provide more details on the exact pick-up schedule as the date approaches, but wanted everyone to know about this change. You will have from 11 until 4 to gather as much as you can and then back on the Bus. Lots of food, prizes and goodies await. Any questions, please don't hesitate to call or click to send us an email. If you want to come along with us, we encourage you to reserve your spot either on-line At Another Yarn or call at 781.570.2134. We do have three buses this year and have 1 and 1/2 filled. A deposit of $50 will reserve your seat. The total trip price is $100. For those of you working on your Sweater Club sweaters, our next meeting will be Thursday, May 10th. at either 1.30-4.30 pm or 6-9 pm, or Saturday, May 12th at 1.30-4.30 pm. For those of you ready, we will be starting on the second sweater. We will also continue to work with those of you finishing up you Fall sweater. If you are not a member of the Sweater Club it is never to late to join. 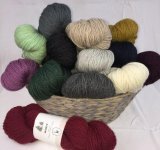 The cost is $50 which gets you 20% of the cost of materials for your Club sweaters and 10% off all other yarn purchases for the remainder of the session. The current Club year ends October 31st, prior to which we be announcing the next year of Sweater Club. Classes - we have lots of classes coming up to teach you new stitches and techniques. Brioche Class - We had so many people who wanted to do Maggie's Brioche class that we convinced her to do another set. You have two choices for this class which is two sessions. 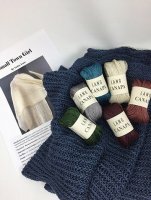 You will be making either the shawl or scarf called Small Town Girl by Andra Asars. The cost of the Class is $65 with 20% of all materials, as well as off any purchases on either class day. Market/Beach Bag Class - It is a great time to have your own market or beach bag with the sun shining and everyone bringing your own bags to shop. And you have your choice of making either a Knit or Crochet bag out of a variety of colors of study cotton. There are two sessions to this class. The cost of the Class is $60 with 20% of all materials, as well as off any purchases on either class day. Sock Class - We had such a great response to our sock class that we are doing it again. Lots of people make and wear gorgeous socks for Spring and Summer and we have lots of summer sock yarn (cotton with a touch of elastic so they stay put!). Each class will have 3 sessions which will get you through a complete sock! The cost of the class will be $70, with 20% off all class materials and any purchases on the days of the class. 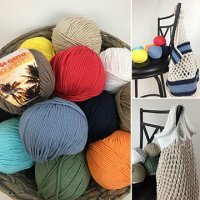 Beginning Crochet - Crochet is back with so many fun projects and we are lucky enough to have one of the best crochet teachers as part of our Team! Dee will be teaching beginning crochet creating a sampler cowl that you can do in any weight or fiber (it looks great in cotton!). Each session will run for 4 weeks to get you through a project using different stitches and on to a new one! Price for the 4 week session is $80, with a 20% discount on all your materials and any purchases on the days of the class. Beginning Knitting - We continue to have requests for beginning knitting classes and have scheduled another on for you. have so many requests for a class specific to beginners, so we are doing two different sessions. Each session will run for 4 weeks to get you through a project using different stitches and on to a new one! Price for the 4 week session is $80, with a 20% discount on all your materials. More Classes to come in the coming weeks' newsletters! 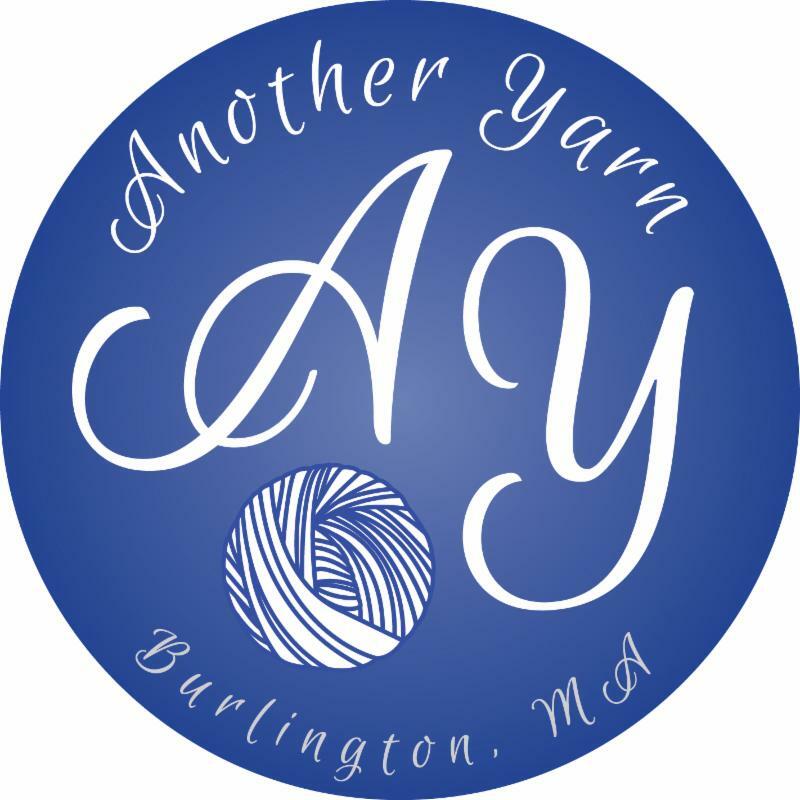 To sign-up for classes, just go to our website Another Yarn or call at 781.570.2134.